Well, I realized I posted the announcement for this in my forum thread, but I completely forgot to post about it here. Oops! Anyway, hopefully most of you saw it on the day of posting, but I made a series of skins for three of the top-tier Swedish tank destroyers (excluding the UDES 03) for April Fools' day. Rest assured, though - while the description I wrote was intended as a joke (if you can even call it that), the skins themselves are indeed real (as is the vehicle they were based off!). Enjoy! Currently, the preview page shows the old version of the pack, as I have not yet had a chance to update the information or screenshots. I will be sure to update them sometime this week, if time allows for it. However, the download link still leads to the new version. In addition, I have revised the hull and gun textures in the hopes of improving visual quality and making the more visible, as well as lining up the center stripes on the hull, turret, and guns as closely as I could. One thing to note: unlike the old upgraded turret, the new one has rounded edges, but the texture still has the sides mapped to three separate pieces. In short, this means the stripes might not quite line up exactly. I tried to eyeball it as best as I could, but they may still be ever-so-slightly off. Hopefully this isn't much of an issue (if at all), but I just wanted to give anyone using the skin a heads-up on that. This update will be released when 9.18 hits the NA server. I will post an announcement with the changelog as soon as it is released, so stay tuned! In the recent weeks, I have also released a couple of new mods: a remodel for the Object 252u, and a gun swap for the Strv S1. The former (252u) adds the hull and turret models from the Defender to the standard Obj. 252u, but with the skin completely removed. The tank is painted in the base USSR green, with reworked hull textures - since the Defender's hull has most of the equipment removed or in different places, a lot of texture fixes had to be done to make things show up as they were supposed to.The latter (S1) swaps the gun model over from the Strv 103-0 to the Strv S1, which just adds a fume extractor to the barrel. Simple mod, for those who don't like the look of the standard gun's model (which looked a bit more like a 20pdr than a proper 105 IMO). All of these updates will be released (and in-depth changelogs posted, since lots of change happened with most packs) on the day of 9.18's NA release (which is currently rumored to be around April 18th). Stay tuned! ​That BT-42 -tank which we have here in Parola Armour Museum has been painted just basic Finnish army dark green. Paint has only been faded during the years, because the tank has been on the outdoor area since 1961. Those BT-42 -tanks used by the Finns were never painted gray. In the picture it might look like that it is grey but it is in faded Finnish army green colour. ​Finnish BT-42 -tanks were at first painted in just Finnish dark green colour. 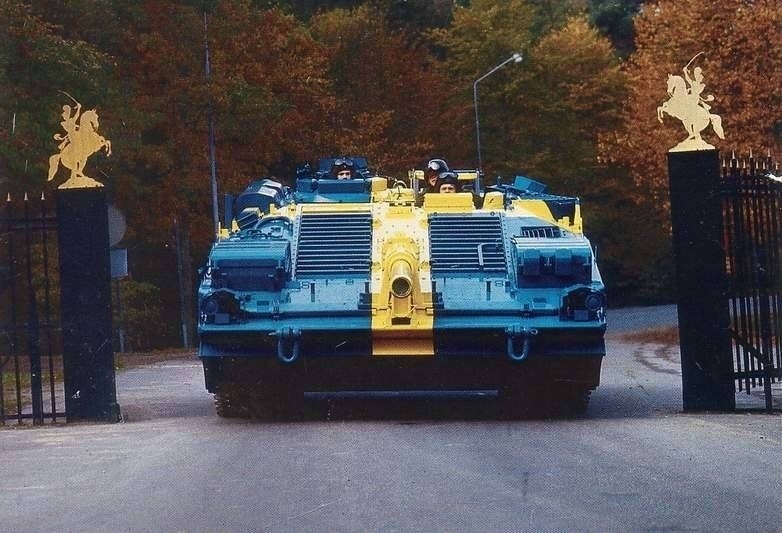 Later when the three colour camouflage scheme were taken in use they were painted with that. Three colour camouflage scheme contained grey, sand brown and moss green colours. That colour scheme were taken in use starting April 1943. Those BT-42 tanks which took part on battles in summer of 1944 were all painted with that three colour camouflage scheme. ​At the time of writing this, I don't have any screenshots worth posting on hand (since most are similar to what you've seen before, or are in very rough states), but I'll post more progress closer to their respective releases. Apologies for the lack of updates on these - I haven't had as much time or motivation to work on the packs as previous, but progress is still being made nonetheless. Slowly, but surely. NOTE: Apologies for the delay / lack of updates - originally, I was planning to post an update a couple weeks ago, but it completely slipped my mind at the time, as I had spring break (in which I wanted/needed a bit of time to relax, as well as to grind out a couple of tank lines, eheh) followed by a bit of a busy week. However, the extra time I had allowed for me to work on more stuff, so I guess it worked out. Again, sorry for the delay. Oh yeah, one last thing - I'm probably going to try shortening/simplifying the update posts (at least, text-wise), since they take a lot more time (and effort) to write than I had originally planned for. Enjoy, and stay tuned for some major updates this week, to coincide with the release of patch 9.18!